Our Employee Development and Coaching Solutions use the above information to build strategies for success that leverage employees’ strengths and compensate for their weaknesses. Many employees find themselves making little progress in their position, leading to dissatisfaction in the workplace. Our Employee Development and Coaching Solutions help you to ensure that employees are given more tools to enable them to succeed within your organization. Ensuring that your employees are maximizing their potential will have a direct impact on your organization’s bottom line. In the sample below, it shows the candidate score in the Prevue report and gives coaching suggestions. 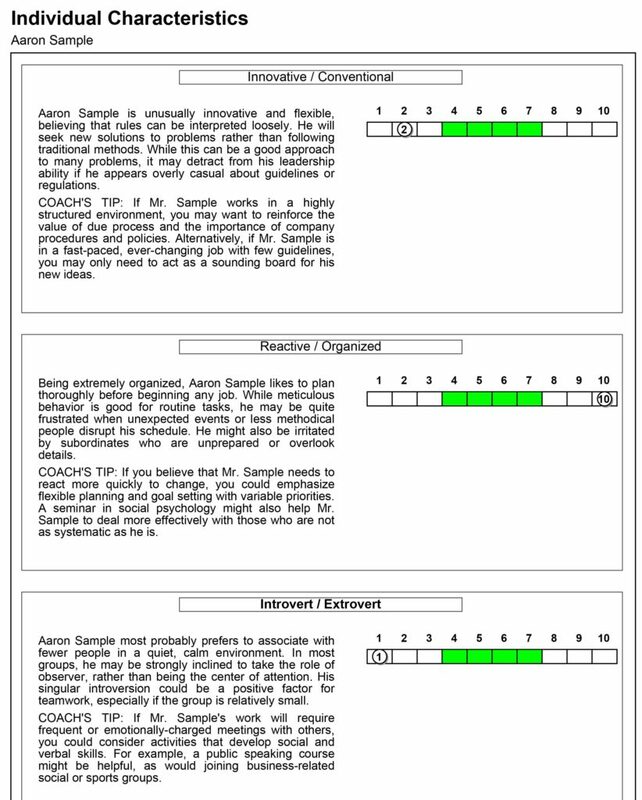 The Prevue Corporate Coach Report provides information that will assist a Coach in understanding Aaron Sample’s unique profile. It can also provide Mr. Sample with a better understanding of himself. 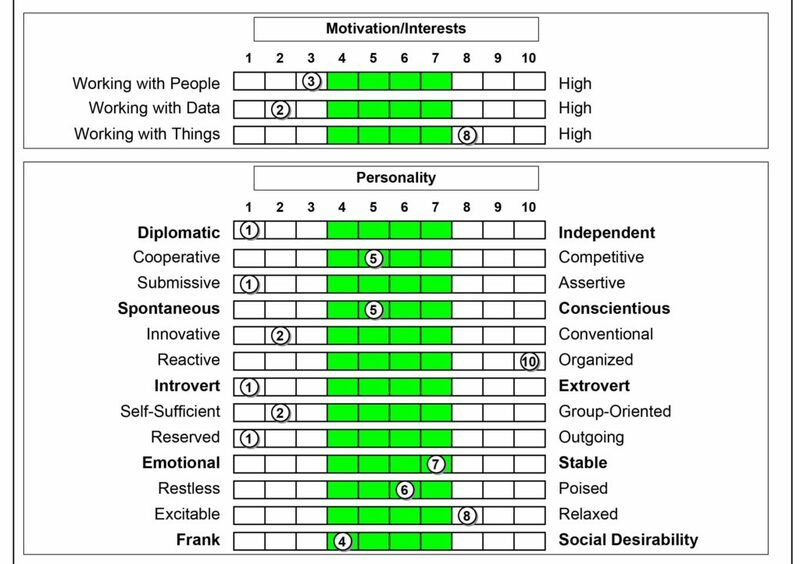 The report provides insight into Aaron Sample’s personality profile and important work related characteristics. It is intended to assist the coaching or mentoring relationship by providing a starting point for meaningful discussion about Mr. Sample’s values, needs and objectives. Further, the report should assist the Coach to ask pertinent questions and provide relative feedback and ideas that are tailored for Aaron Sample. Our Employee Development and Coaching Solutions leverage the strength of Prevue Benchmarks. A Prevue Benchmark identifies the desired characteristics of an employee for a particular position. To learn more about Prevue Benchmarks and how they are created, click here. All of our Prevue Reports are delivered via the web through the Prevue Online platform. Users simply enter the name and email address of the candidates they would like assessed and the platform does the rest. Candidates are automatically invited to complete the Prevue Assessment Questionnaire online. Once the Prevue Assessment is completed, Prevue Online analyzes the candidate’s responses and delivers informative and reliable reports back to management.